Last weekend, I went to a baby shower for some friends of ours who are about to have a baby (well, I guess that's kind of obvious, huh?) Anyway, I was surprised to see that one of the co-workers of my friends who was there was wearing a Chiba Lotte Marines t-shirt. So, of course, I had to ask him about it. Turns out, a friend of his gave him the shirt and he really didn't know anything about the team. (And everyone else looked at the shirt and at first glance thought it said "Mariners", not "Marines"). 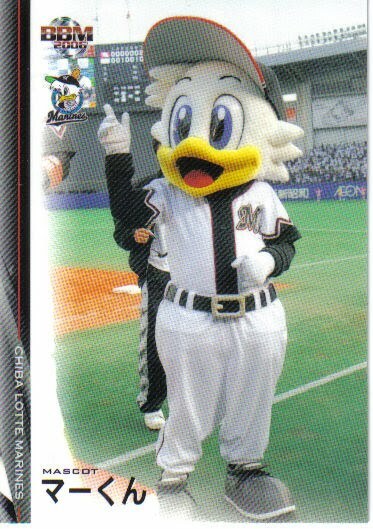 Poor guy - he threw the shirt on that morning, not realizing he was going to be quizzed by a crazy Japanese baseball fan. I suspect he'll think twice about wearing it in public again. 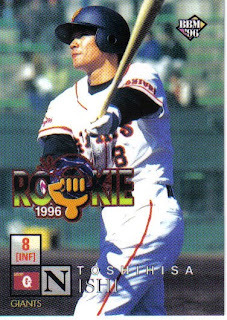 OK, for Father's Day, I was considering driving up to Lancaster, PA, catching a Barnstormers game and maybe trying to get an autograph from Toshihisa Nishi. Unfortunately, Nishi retired a couple of weeks ago, so we went and saw "Toy Story 3" instead. Ever since I started this blog, I would occasionally get people posting comments that were essentially ads for cards they were selling. Since I kind of viewed that as a sort of spam, I started moderating the comments (well, that was one of the reasons I started but it was also because of the real spam) and rejecting most of these comments. But the more I've been thinking about it lately, the more I think that was a mistake. One of the reasons that I started this blog was to reach out to collectors of Japanese baseball cards living in the States. What better end could this blog serve than to give those collectors a spot to connect and buy/sell/trade cards among themselves? So here's what I'm proposing: once a month, I will publish a "swapmeet" post. If you've got something you want to sell or trade or there's something that you're looking for, add a comment to that post stating what you've got, what you're looking for and how to contact you. 2. I will accept no responsibility for anyone else's behavior. I'm not planning on rating buyers and sellers or banning anyone from posting. There's a whole other site out there that does that better than I ever will. 3. Only leave these comments on the swapmeet posts. This might be stupid idea. This might be a great idea. I don't know, but I figure it's worth trying. Hopefully, I won't make too many people angry. We can modify things as we go or just abandon the whole thing if it's not working. And I'm open to any suggestions that anyone has. 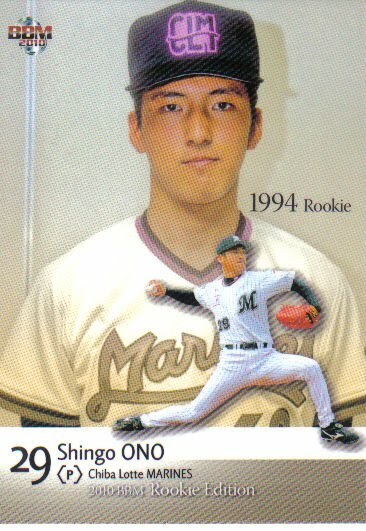 I'm looking for a few cards from the 1995-2000 regular BBM sets. 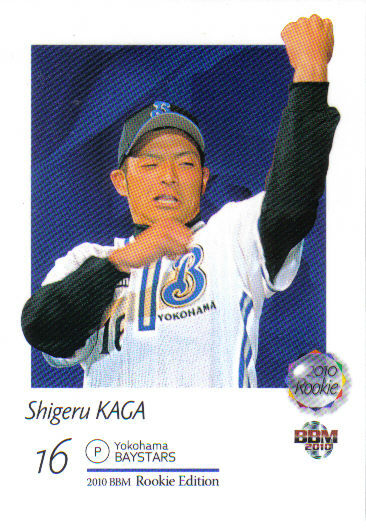 I need a bunch of cards for the 2003-06 BBM 1st Version sets and the 2005 BBM 2nd Version set. 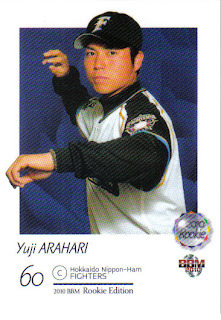 I need a handful of cards from the 2000 BBM 20th Century Best 9 set. 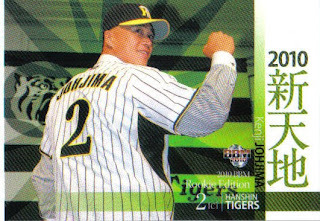 I need the Ochiai and Kazuo Matsui Century Best 9 inserts from the 2001 BBM Preview set. I'd also like to find the 2002 BBM Japanese National Team box set. I'm kind of disorganized at the moment on what I've got sitting here in my office. 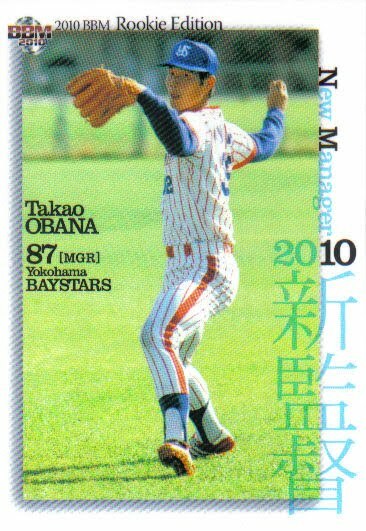 (I've been trying to find some 1993 Tomy cards for a couple weeks for someone.) I have singles available for the BBM regular sets from 1992-2001, 1st Version sets from 2002-2006 and 2nd Version sets from 2002-2005. I also have a lot of singles available from the 2000 BBM 20th Century Best 9 set, the 2006 BBM Dragons 70th Anniversary set and a couple of team sets from 2003-2006. 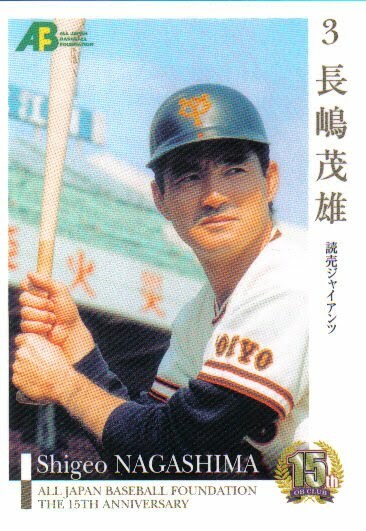 I have some Calbee cards from the 1970's and 1980's and a handful of Yamakatsu cards from the late 70's. Oh, yeah, and somewhere I've got some 1993 Tomy cards! I can be reached at npbcardguy@gmail.com. I'm going to publish two comments here that I've been holding in limbo for a month or so. I apologize to the original posters, but it's taken me a while to decide what I wanted to do. ...and Deanna Rubin has the pictures to prove it. OK, couldn't resist one more card from this year's Rookie Edition set. Seriously, what is Shigeru Kaga (#043) doing here? I'm going with playing "air fiddle" while listening to "The Devil Went Down To Georgia". 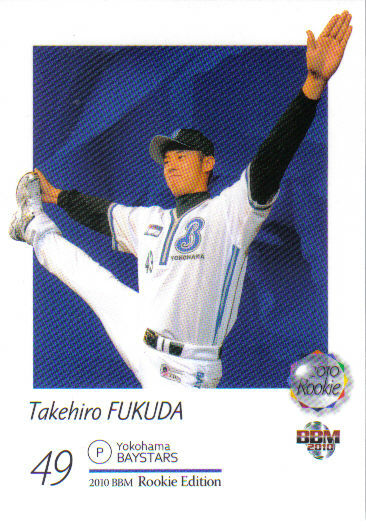 On the heels of last fall's very popular All Japan Baseball Foundation 15th Anniversary set, Epoch has released a second set. This set is an 83 card box set containing 82 "regular" cards and an autograph card - as usual, I got a set without the box or the autograph card. 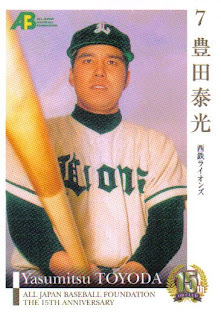 The card numbers start at 77 so that they are numbered in sequence with the first set (1-76). Like the first set, it's an eclectic group of players. Shigeo Nagashima and Sachio Kinugasa are the biggest names in the set. 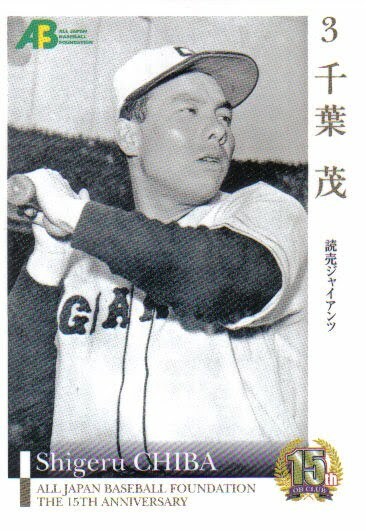 The set contains players who played in the 1930's (Shigeru Chiba) as well as guys who just retired recently (Ken Suzuki, Shigeki Sano, Tomohiro Kuroki). Here's a (somewhat) translated list of players. Like the first set, since I don't know what the criteria was for including a player in the set, I can't say if there was someone obvious excluded. I will point out that neither set contains either Masaichi Kaneda or Katsuya Nomura - I'd venture a guess that these are the two biggest names who are not in either set. Like the first set, I'm not really sure what to make of this set. The two sets together still aren't a particularly good overview of Japanese Baseball History (although a much better representation than BBM's NPB 70th Anniversary set in 2004). They're OK, but I'm not sure I'll pick up a third set if Epoch makes one. 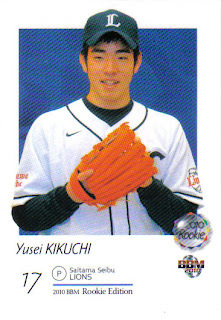 BBM announced the 2010 Dragons team set (the final team set for the year) last week. Like most of the rest of the team sets, there are 99 cards in the set - 76 cards of the players, coaches and managers, one checklist card, four cards for "promising young" players, nine cards for a puzzle subset, three cards for the "BMW" trio (which I think are Blanco, Morino, Wada maybe? - the three, four and five hitters in the Dragons lineup - although not in that order) and six cards for the Cross-Stream cross set BBM 20th Anniversary subset. There's a nine card insert set featuring "key players" and some possible autograph and 3-D cards. The set will be released on July 23. 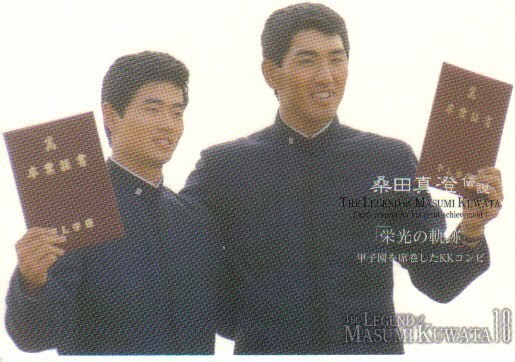 This is card #MK04 from the 2007 BBM Legend Of Masumi Kuwata set, showing Kuwata and Kazuhiro Kiyohara's graduation from PL Gakuen High School in 1985. My oldest daughter graduates from high school today and I couldn't be prouder. Congratulations to her and the class of 2010.